Go to the iClicker Cloud web portal and sign in. 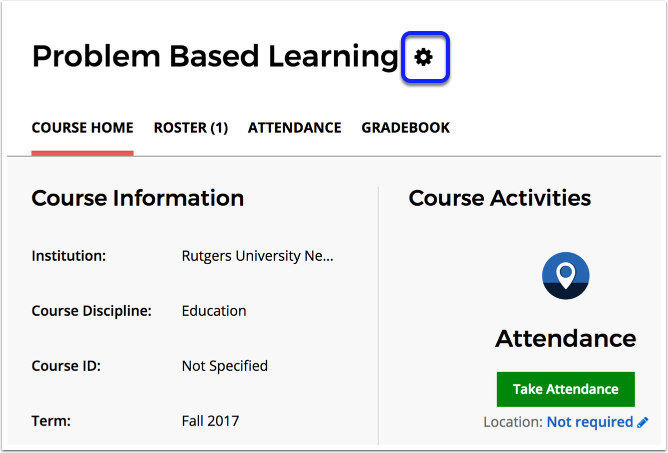 Click on your course name from the list. Select the option for "Single-Column grade sync"
Go to your Sakai Course site and add the "Reef Polling" tool located in the "Publisher Content" section. For the steps on how to add a tool to your Sakai site refer to this article. 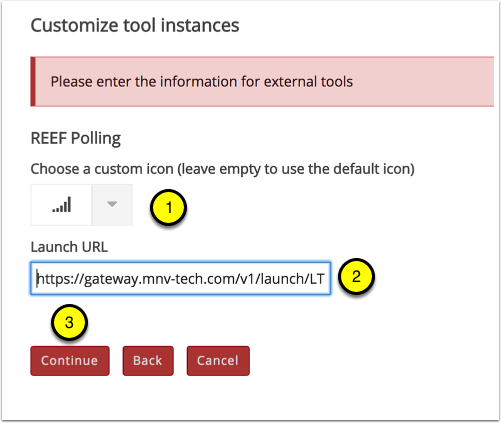 As you add the Reef Polling tool to your Sakai site, you will be prompted to customize the tool. You have the option of choosing an icon that appears with the tool name in the left menu. 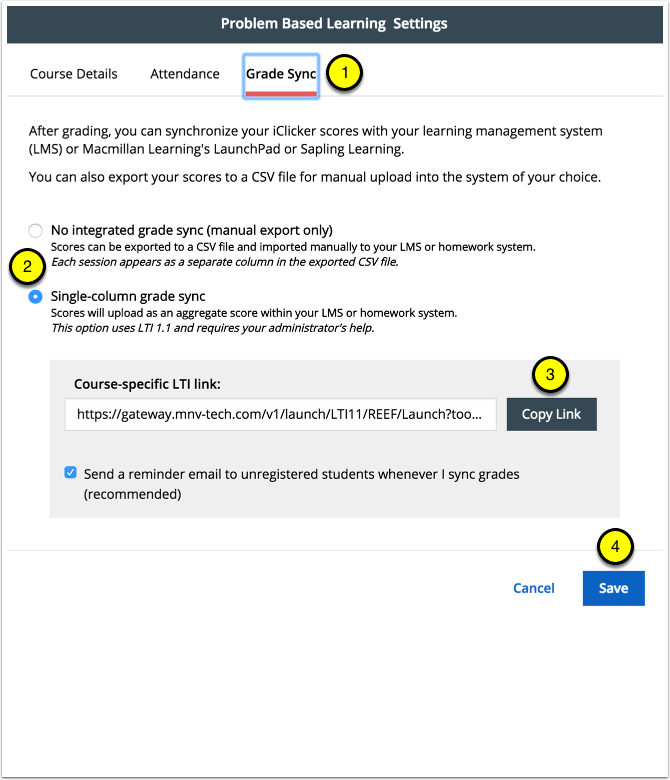 MOST IMPORTANT: Paste the course-specific LTI link you copied previously into the field labeled "Launch URL"
Confirm you are adding the tool and click "Finish" at the bottom of the page.